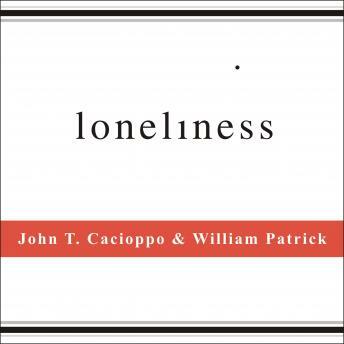 John T. Cacioppo's groundbreaking research topples one of the pillars of modern medicine and psychology: the focus on the individual as the unit of inquiry. By employing brain scans, monitoring blood pressure, and analyzing immune function, he demonstrates the overpowering influence of social context-a factor so strong that it can alter DNA replication. He defines an unrecognized syndrome, chronic loneliness; brings it out of the shadow of its cousin, depression; and shows how this subjective sense of social isolation uniquely disrupts our perceptions, behavior, and physiology, becoming a trap that not only reinforces isolation but can also lead to early death. He gives the lie to the Hobbesian view of human nature as a 'war of all against all,' and he shows how social cooperation is, in fact, humanity's defining characteristic. Most important, he shows how we can break the trap of isolation for our benefit both as individuals and as a society.